2014 has started off with some really cold temperatures around here, that’s for sure! The kids have most definitely been enjoying their snow days. Those snow days have also been great because we’ve had quite the sick little girl over here. It seems like every other week since December, she’s been sick with one thing or another. Whether a GI bug, a weird virus, upper respiratory issues, back to another form of the GI bug, etc., she’s needed a lot of down time to rest in hopes to recover. This past week, Claire’s gone through a lot. I’m happy to say that slowly but surely, she’s getting better. Sick at home. Bucket, sheets and towels galore. Claire’s being a trooper! Last weekend at the hospital. Again, she’s quite the trooper! It’s important to give Claire as much downtime as possible when she’s sick. It’s also important though, to make sure we continue to work on the things she would be working on whether at school or in therapy. The continuous days at home can all blur together at times, so it’s helpful (for me) to have a plan and a few goals to work towards each day. What activities can she do while wearing her AFOs and being in her stander? What activities can we do so that she can practice “driving” her wheelchair? How can we practice the vocabulary she’s working on in school, at home? What activities can we do at home that can help her practice the preposition words and other concepts that she’s working on during her private speech therapy sessions? How can we get her motivated to practice walking? What flashcards can she go over while sitting during a meal? My mind is always going, wondering how we can use the moments of each day to reinforce what she’s doing while at school or in therapy. (Sometimes I wish my mind would turn off!) If she’s stuck at home due to sickness, I don’t want her falling behind elsewhere. Some of the things Claire’s been working on the past couple of weeks, include practicing her winter clothing school vocabulary and action words. I didn’t know how to work on these words, but then after copying some ideas from a preschool lesson plan book, it started coming together. The one morning, Claire worked on dressing her favorite stuffed animal because it was cold. 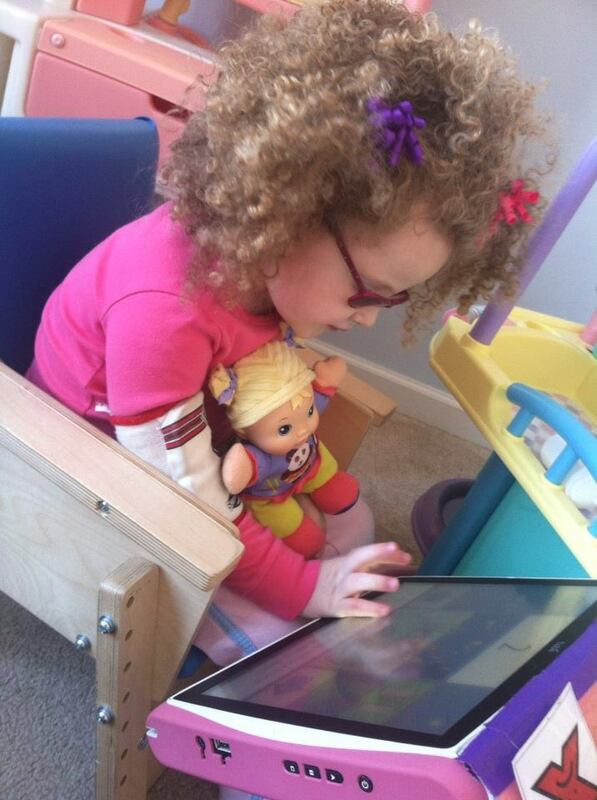 Claire would say which article of clothing her bear needed to find and wear, using her Tobii communication device. The articles of clothing were scattered around the 1st floor of the house. If she picked “mitten”, Claire would have to practice walking to wherever the mitten was located on the 1st floor. She would continue to gather the clothing items and when she was done, she would “dress” her bear to get it warm. Then, after doing so, she picked what the bear would do. (Incorporating her action words). Should the bear sleep? Throw snowballs? Or possibly go sled riding? If she chose (using her Tobii) that she wanted her bear to sleep, she would use the Tobii to read the bear a bedtime story. If she wanted the bear to go sled riding, Claire would go in the basement to go “sled riding” aka: work on her physical therapy goals by going up the stairs of a slide we have in the basement. She would take the bear sled riding down that slide. Etc. Etc. 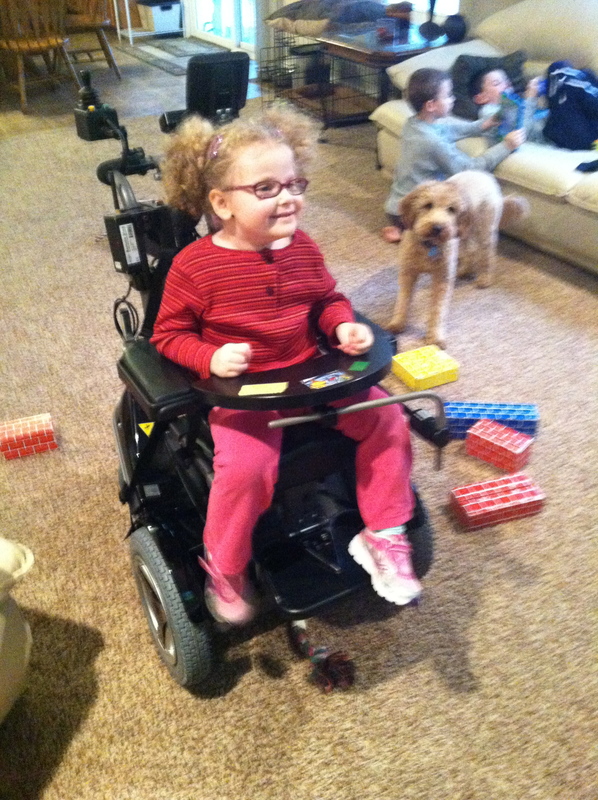 A less important goal but still one to work one on includes having Claire practice driving her wheelchair. To make this more fun for her, we lined up blocks and wanted Claire to knock them over by selecting the forward button on her tray. The boys thought this was so funny, and so did Claire. Driving her wheelchair into the tower to knock the blocks down. Yesterday, I wanted Claire to work on pretend play, while incorporating her Tobii vocabulary words and direct access (an occupational therapy goal). So…. she picked which doll she wanted to take care of. She chose the activity she wanted to help the doll with (feeding, bathing, getting ready for bed, etc) using her Tobii, and I would try to incorporate hand over hand play so she felt she was actually, for example, giving the doll a bath. Then, in conclusion, she would use the Tobii to read that doll a bedtime story. Below are some pictures. She seemed to enjoy herself. After giving her doll a bath, Claire was reading her a bedtime story using her Tobii communication device. I give credit to those teachers and therapists who have to come up with ideas on how to work on goals through play, every single day! I know I run into ruts in coming up with ideas as to how to keep challenging Claire to bring her a step further each day at home. It gives me an appreciation to those educators who have the ability to come up with ideas, especially on the fly! Kuddos to you! Happy New Year! I hope everyone’s holidays were wonderful and I hope 2014 is off to a good start for you. So in my New Years post last year, I had 2 resolutions. 1) to write more in Claire’s blog. Hmmm. This really didn’t happen. And 2) to physically get healthier. My results were not like my husband’s, (who lost 40 pounds and is now migraine free…go Sean!) but they were okay: my nutrition is on track, I ran my first 10K for Claire in May, in addition to a few other 5Ks, and joined a gym when Claire started school (but it ended up closing after a couple months of me joining). Are my 2013 resolutions going to be carried into the 2014 year? To get physically healthier, yes. Finding a new gym near Claire’s school is back on my radar. Getting stronger is no longer a “nice to have” but is now in the “mandatory” category. Claire has grown a lot this past year and it’s absolutely wonderful that she’s thriving in this area! She is a few months away from turning 4 and is about 40 pounds, wearing a size 5T. She is getting very heavy to pick up and carry around. Because she is still non ambulatory, it is starting to get real hard, physically, to move her from point A to point B, whether inside or outside the home. More weight training exercises for me is a must. Now for the other one… to write more in this blog. Ah yes, that one. I give so much credit to others who are able to put their experiences with Rett into words and share these with others. It is so good. It helps spread Rett awareness. It helps those outside the Rett community understand and learn more. 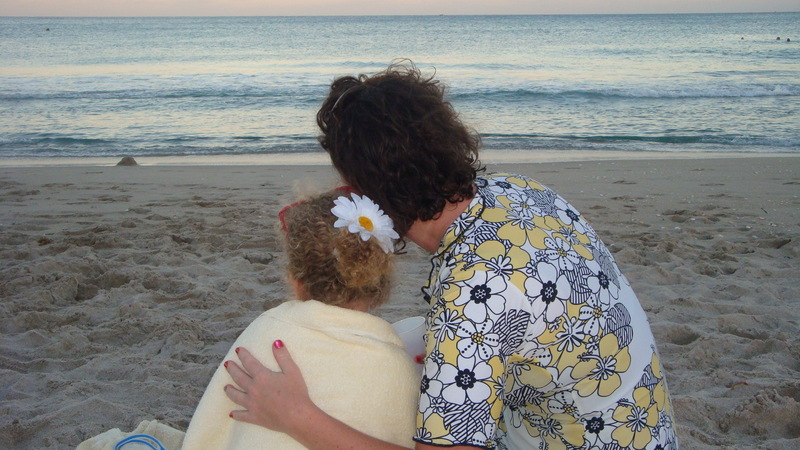 And finally, it helps other Rett families who are in the same boat, feel more understood and less alone. I experienced this a few weeks ago when I came across the writings of Marta. Marta is the mom of beautiful Caroline, who is a just a few months older than Claire. And she truly has a gift with words. Reading her posts has been therapeutic for me. When I came across this post in particular (thank you, Marta, for allowing me to share!) I was in awe. The thoughts Marta shared were exactly, dead on, what went through my head the first time I went gift shopping for Claire. 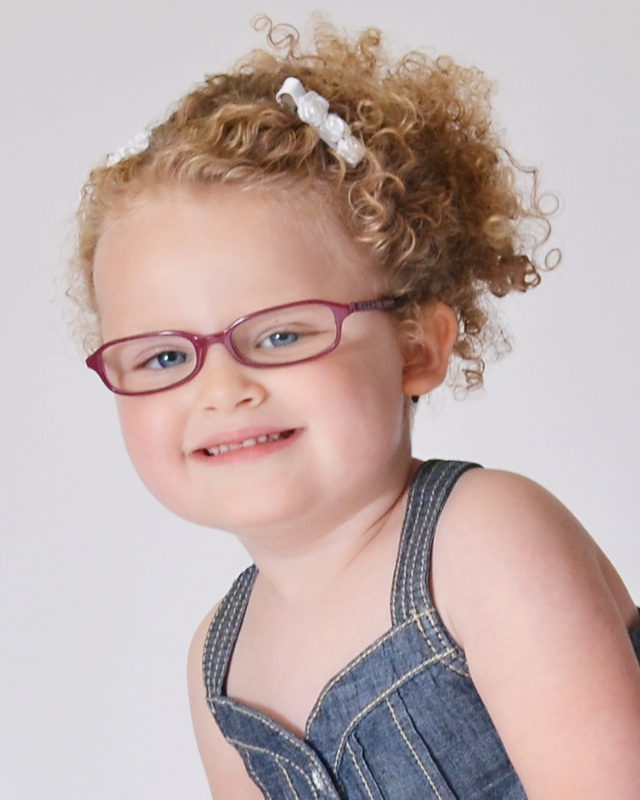 Claire was diagnosed with Rett a couple months after her 1st birthday. So, the experience I had when I went shopping for her 2nd birthday most definitely caught me off guard. I wasn’t expecting one simple trip to the store to bring on such intense feelings – the ones Marta described in her post. I thought I was crazy. Fast forward a year 1/2 later (to now)…I’m shopping for Claire’s Christmas presents, and here we go again. The same thoughts come back, only they are even more defined at this point, and the sorrow among other feelings, is so much deeper now than ever before. But thanks to Marta, I no longer feel in like I’m crazy, particularly on this subject. I feel more understood and less alone. As much as I want to be able to share my experiences with you in this blog, the truth is, it’s getting more difficult to do so. As time goes by, living with Rett on a daily basis is just getting harder and harder. (I thought the opposite was supposed to happen?!!!) I cannot, for the life of me, seem to escape the deep sadness that I feel every single day, multiple times a day, when I see Claire struggle with her physical, social and emotional challenges. The ache in my heart is constantly there. The sadness gets deeper as the months pass. Is this normal? Who knows what “normal” is anymore. The fact of the matter is that it’s there. And at the end of the day, when the kids are all asleep upstairs and the house is quiet, I need to shut my thoughts and feelings down for the day. I don’t want to prolong my thoughts and feelings by writing about them… I don’t want to talk about them, even to Sean. I just want to relax my mind, and escape reality by watching TV with Sean and Murphy (our dog). I may provide quick updates about the day on Facebook. A few words, maybe post a picture or two because it takes less than a minute to do so, and then I’m done. Good or bad, I need to shut things down because it gives me strength for the next day. Living with Rett is getting harder vs. easier, I think, because Claire is getting older and understands so much more than what she obviously understood when she was 1st diagnosed. Her feelings and level of cognition are just like any other soon to be 4 year old. So, when others are greeted with a hello, and she is not, she knows. She hears when people make remarks like “wow, she really IS, so smart!” She also knows when people are questioning her cognition and don’t believe that she really knows what she knows. She wants to feel understood but is at the mercy of others to do so and is frustrated when people speak for her and think they know what she wants or feels, without giving her a fair chance of saying so through her communication device or via another way. She is frustrated when people don’t give her any way to communicate in general. When I see how all of these types of things make her feel, and how frequently all of the above occurs, it absolutely breaks my heart. The list continues on… Claire wants to feel inclusion, just like anyone else, and she knows when there is a clear division between her and others for whatever the reason may be. Claire also understands her lack of independence compared to her peers. She knows others her age aren’t in diapers anymore. What am I supposed to do now if we are in public and she needs to be changed? She no longer fits on the changing table, and I would hate to put her on any public floor, even obviously on top of a mat or blanket. I want to give her the privacy and dignity that she deserves, and I’m not sure how to do this since since she is so much bigger than a baby who if when in public needs to be changed can be, no problem. If she needs to be changed, I don’t want her to feel embarrassed in any way and I need to figure out a way to discreetly do this. She knows others do not need someone to feed them or give them something to drink. She sees her peers coloring pictures with crayons and how they are starting to write their names, or how they are able to hold a book and turn the pages by themselves. She knows that her peers are way beyond drinking from bottles. (We no longer use the word ‘bottle’ in our house. She will have her “morning cafe” aka: protein smoothie via a bottle (in the privacy of her home) with Mom, as Mom is drinking her coffee… and her “night cap” aka: warm almond milk (in the privacy of her home) right before bed. (with Mom? ha. No… Mom will have her night cap after the kids are sleeping) 🙂 Claire knows she can’t walk and go up and down the stairs, get on/off couches, or move around at all by herself. During play times, she sees how with my boys, or when other kids are over, she cannot keep up with them. They run from the outside, inside… from the backyard to the front yard… from the toy room upstairs to the basement downstairs… then back up again. That’s what kids do, as they should! They are asking each other, “what do you want to play next?” And they go and do it. Claire isn’t included in the conversation and decision making, and is often left alone until someone moves her to whatever the next activity is. After a while of doing this, she’ll resort to her 12-24 month old musical toys that she’s been playing with since she was 9 months old, because pressing those buttons is something she can do by herself. I’ve observed a similar type situation that Claire had during school one day. I saw the sadness on her face that came from a moment where she was playing an activity with her friends on the carpet, and they quickly decided a new activity at the opposite end of the classroom seemed more fun… so they quickly got up and moved and she was sitting there by herself, until again, she was eventually moved. 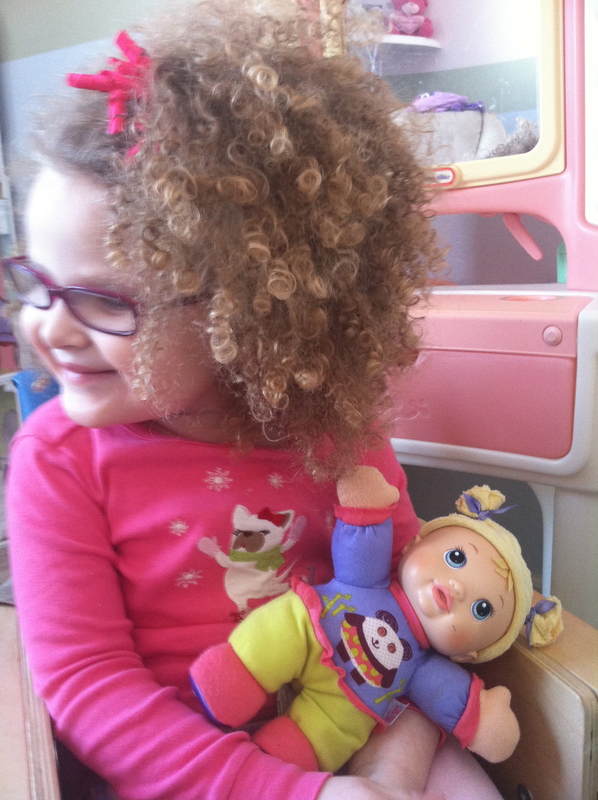 Rett Syndrome or not, it’s just really hard when as a mom, you see how your child feels from the little things that happen throughout the day that may make her feel different, and/or excluded. I talk to Claire about how everyone is different, and that’s okay because that’s how God made her and she is so special. But the exclusion and division part between she and others, and how this affects Claire quite frequently, is what’s really hard to see. The inner strength that Claire has truly amazes me. That, along with her patience towards others. Due to her having chronic constipation, she is so tired of her belly hurting, and how when it hurts, it makes her very upset for sometimes hours at a time. She wakes up at night and is thirsty, but nobody’s around to notice or help her, and she cannot say anything or come in our room to tell us, so she eventually falls back asleep. Or, like last night, she wakes up in the middle of the night, crying. I go into her room, and see that she looks so scared. She probably had a bad dream. I remember as a little girl, when I had a bad dream, I felt such comfort in telling my parents what my dream was about. Telling them about it helped clear my mind so I wouldn’t be scared anymore. I want to get to a point where somehow she can tell me what is making her scared. Until then, I hold her close and tell her I understand she is scared, and that I love her so, so incredibly much, and I pray that this is enough for her, for right now. This little girl… my Claire… she truly is my angel on Earth. Her smile takes my breath away, literally. She teaches me more about life than I could have ever imagined. She continues to remind me to be thankful for the little things, because those little things are really big things. To see her face light up when she feels understood makes me so happy. When I see others tune into her and help her feel included by doing whatever it may be, I definitely notice the happiness in Claire’s eyes and appreciate those people and those moments. This little girl has turned our worlds upside down and inside out. 🙂 Her laugh, her sassiness and her sweetness make her our beautiful little Claire. Rett Syndrome takes so much away from Claire, and I am slowly starting to realize that this isn’t a bad dream I’m having, but it’s real, every single day, and it’s not going away. This is the way God intended it to be for some reason, and although I do not understand why God would want any child to face such challenges, He has a plan. I try so hard to focus on this and the positive. I try to focus on the many, many blessings we have and were given before Rett, as well as because of Rett. As I’m finding out though, sometimes this isn’t enough to keep me from still feeling the sorrow I do for Claire, especially when I see how certain situations make her feel. As the hurt I feel inside continues to grow deeper, the harder it is for me personally, to process it and then take it a step further by talking about it, or writing it down. 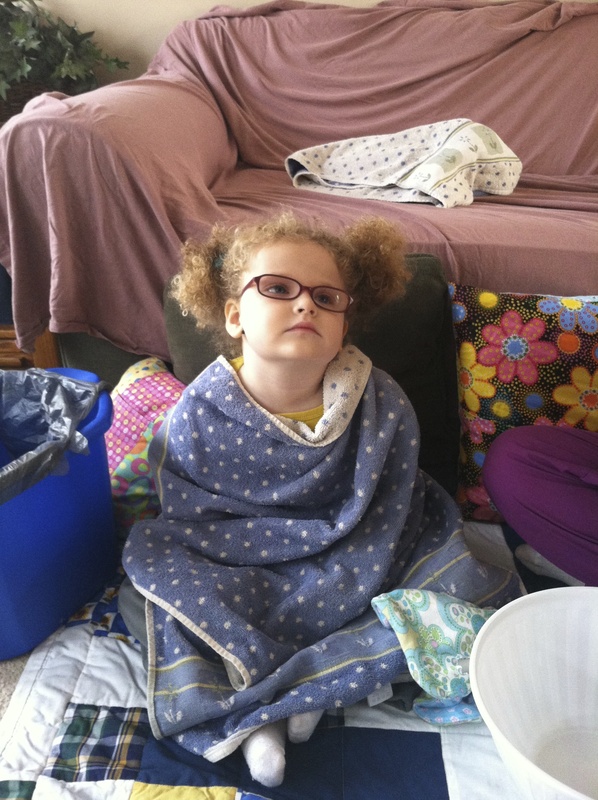 So maybe I just stick with the high level updates on this blog regarding Claire, while also connecting you to beautifully written posts from others in the Rett community, like Marta, regarding the other “stuff.” The Rett Community is one of a kind. The families, the connections, and the camaraderie between everyone is again, hard to put into words (ha) but pretty incredible. There’s a national Rett conference at the end of June I’m really hoping I can attend for the first time, because I want to personally meet the many people I’ve gotten to know virtually. At the end of October, which is National Rett Syndrome Awareness Month, we put together a video message from Claire to her “Rett Sisters.” It was to remind them that everyday, there are people fighting for them and for a cure. And until then, it was a message to keep trying and keep fighting. The strength, the patience and the unconditional love that these girls have within them, is simple amazing. I only posted this video to Facebook back in October, so my apologies if you are now possibly seeing this for the first time. But, to all of those girls like Claire who work so hard every single day… keep it up. You are our inspirations. Know we believe in you, a cure is on it’s way, and until then, keep Roaring.